Congrats on your new rice cooker! Pop the hood, I’ll show you how it works. And one giant leap for our community. Here’s our secret stash of flavor, be sure to check back often to find more. Look no further. We’ve got easy-to-make, seasonal beverage recipes that will really spice up the mood. Experience unparalleled thermal technology that lets you stay in control in the kitchen. Induction Heating Cooks from an alternating electric current from the entire inner pot. It is able to make precise temperature adjustments in a short time span. 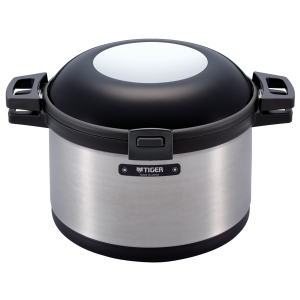 Once the rice cooker has completed its cooking, it will switch to the automatic keep warm function for the maximum amount of time the unit is designed for. Include removable upper lid and non-stick inner pot. Temperature can be adjusted with an easy press of a button. Combine double walled vacuum insulation pots and electric heat to maintain water temperatures with minimal energy usage. Tiger’s new tumblers are made out of stainless steel that has been thinned out to create the lightest tumblers in the series. The inside of Tiger’s tumblers have smooth and polished interiors to resist against stains and odors. Subscribe today for Tiger product and recipe updates. Subscribe to our email list today!